Apple has teamed up with Cochlear to create the first cochlear implant that will be natively compatible with iOS. The Nucleus 7 Sound Processor will be the smallest and lightest implant to date. It has already received FDA approval and will be ready to launch this year. The Nucleus 7 pairs with the iPhone just as any other Bluetooth-enabled device. Once paired, users can control the implant’s settings using the volume controls on the iPhone. This will provide a much finer control over volume, which can be a problem with some devices. Downloading the Nucleus Smart App adds even more functionality. User's will be able to enjoy streaming music, videos, and even FaceTime calls. The app will provide device tracking as well. The Nucleus 7 is not the first time Apple has explored hearing aid technology. In 2011, the tech giant applied for a patent for a "hearing assistance system for providing consistent human speech." The system would make it easier for those with hearing aids to understand fast talkers or speakers with thick accents. The idea was to have a processor convert speech to text and then back to speech again. It even suggested that processing could be boosted through an iOS device. 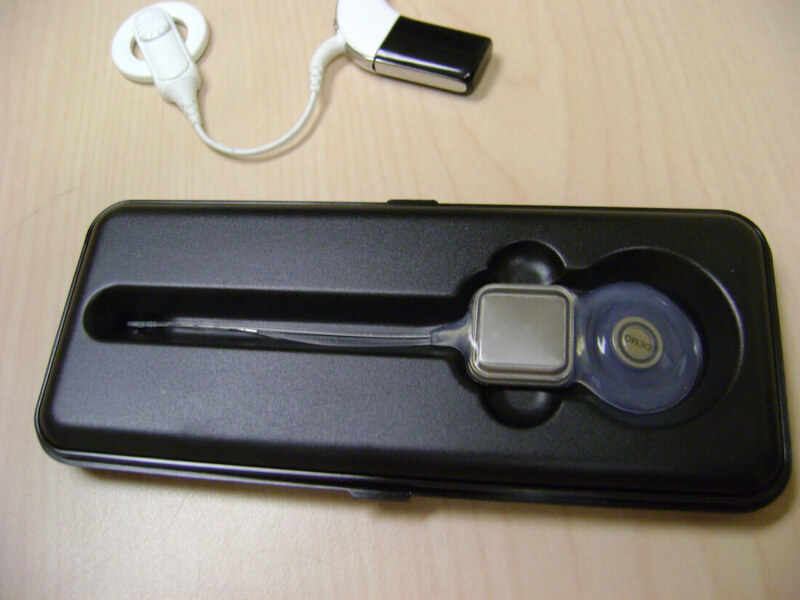 Also in 2013, Apple worked with Danish hearing aid manufacturer GN Store Nord (ReSound GN in the US) to create a hearing aid that could connect with iPhones and iPods over 2.4 GHz. The result was the ReSound LiNX, which is now in its second generation. In addition to providing better hearing to the impaired, the LiNX can pair with iOS to provide customizable settings profiles and streaming stereo music from the iPhone or iPod. The Nucleus 7 will have similar functionality. It also might not be surprising to learn that GN and Cochlear formed a partnership in 2015 called the Smart Hearing Alliance. Through it, they used the same 2.4 GHz advances that GN achieved with Apple to develop bimodal solutions that seamlessly pair with iOS. So, a Nucleus 7 implant and a ReSound hearing aid will sync with each other when paired to an iPhone. Production began with FDA approval in June, and the device will be available September 2017. Owners of Cochlear’s Nucleus CI24RE and CI500, or its Profile Series implants, will be eligible to upgrade to the Nucleus 7 sound processor this October.